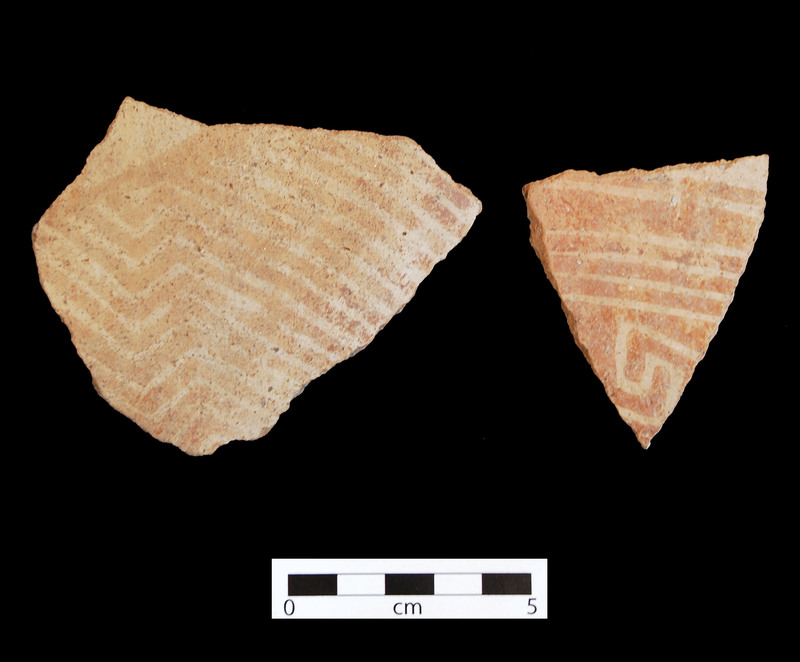 Casa Grande Red-on-buff sherds. 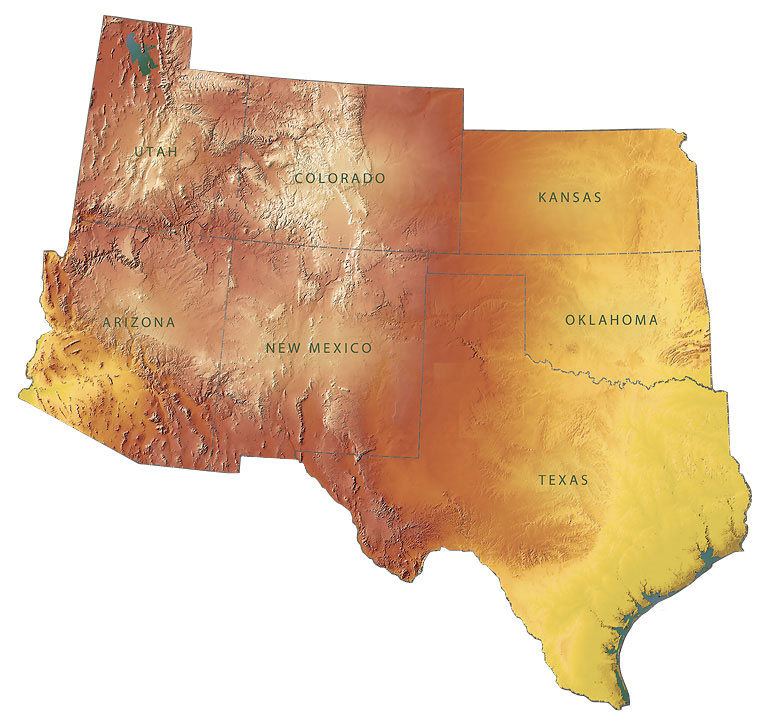 Click the image to open the Casa Grande Red-on-buff gallery. Casa Grande Red-on-buff was the latest type of Hohokam Buff Ware produced and is most abundant in the Gila Basin. Temper: Sand-sized inclusions; little to no schist. Surface Finish: Porous and non-porous; mica sometimes visible; buff or white slipped; can be unslipped brown; hand smoothed and tool polished. Slip, if present, is often thick, but flaky and pitted. Paste Color: Buff, pink, peach, and near white. Forms: Jars and pitchers with straight necks, mold inset shoulders, and occasional low Gila shoulders; pitchers may be diagnostic; bowls rare. Design: Open, simplified panel designs; small geometric elements in solid voids; panels of straight lines; chevron patterns; alternating wavy and straight lines; interlocking curvilinear and rectilinear scrolls and frets; thick line work; barbed or ticked embellishment on interior line. Jars tend to have two bands of design (large on body and small on neck); fields subdivided, with open space within the design field; primary designs on bowls are on the exterior. Key Traits: Vessel form (tall straight necks and mold inset shoulders; pitchers); neck designs; solid void motif. Comparisons: Sacaton Red-on-buff jars lack neck designs and open space within the design field; pitchers are likely unique to Casa Grande Red-on-buff.